Last month we looked at Bose's wireless QuietComfort 35 noise-canceling headphones ($350) and came away with the feeling that – at least for those willing or able to test premium waters – Bluetooth-based audio fulfillment was finally a possibility. 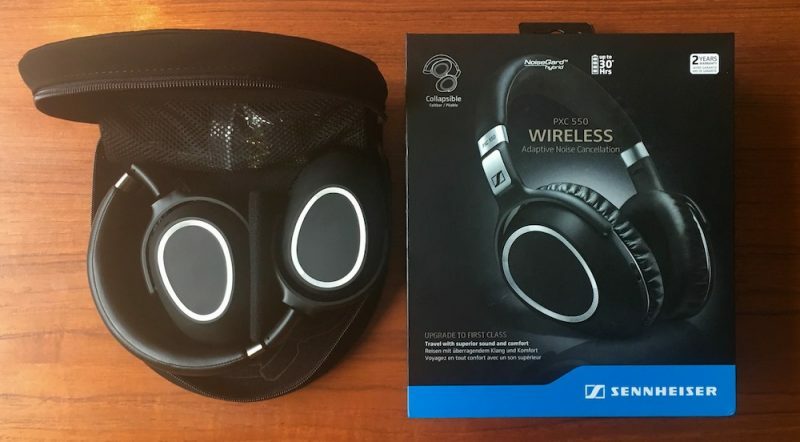 So it would be remiss not to turn next to rival premium headphone maker and well-regarded German audio company Sennheiser to see what it has to offer in the wireless noise-canceling space. Sennheiser has dipped its toes into the NC market before with the PXC 250-ii, PXC 450, and its lauded wireless Momentum series, but the firm announced its flagship PXC 550 travel cans ($400/£330) in an almost direct response to Bose's QuietComfort transition to Bluetooth, which makes comparisons here inevitable. First though let's look at the design and features of the PXC 550 headphones on their own terms. 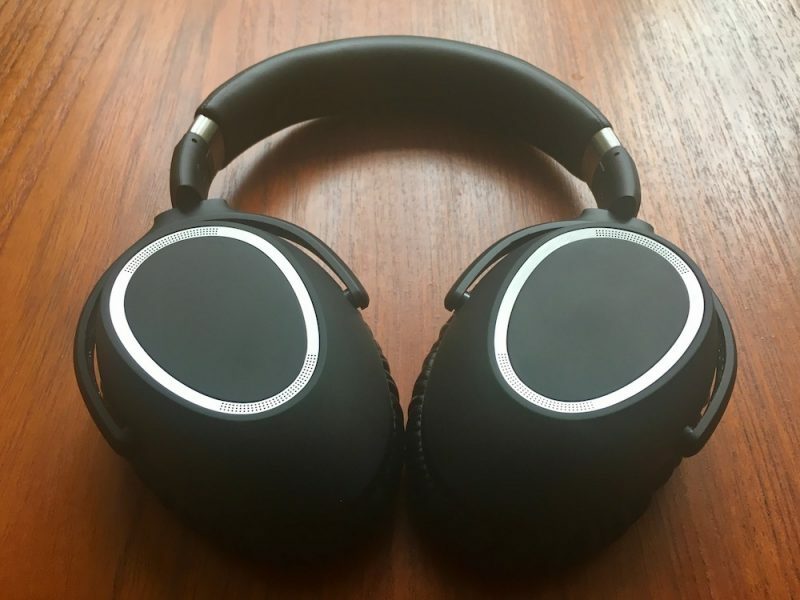 The PXC 550 headphones come with a sturdy semicircular carry case, a micro-USB cable for charging, a 2.5mm to 3.5mm cable for wired mode featuring an inline mic, a travel adapter, and a full-size headphone jack adapter. The matte-black headphones look classy and elegant, with silver metal details that mark out the micro-grilles of four noise-canceling mics and accentuate the earcups' oval shape. The hinged pivots form part of a collapsible frame that folds flat for stowing in the travel case. 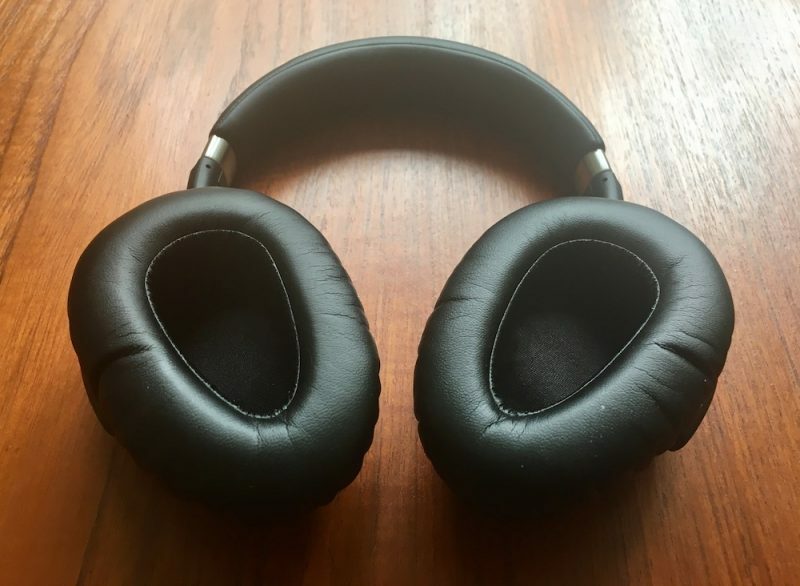 It's a solid, well-built design – which is just as well, because turning the earcups from a flat to an inward facing position powers the headphones on and reversing the action turns them off, so users will be doing this quite a lot. The right earcup is where all the functionality lives: there's a Bluetooth on/off switch; a separate switch to turn noise canceling on/off or enable adaptive ANC mode; a combined pairing and "Effect Mode" button; a three-mic array for speech during calls; and the aforementioned power switch built into the hinge. On top of that, the back of the right earcup is sensitive to touch gestures, allowing you to control volume (slide a finger up/down) and playback (tap to play/pause, slide forward/backward to skip/go back a track), as well as to take and end calls. There's also a micro USB charging port and a 2.5mm connector on the rim for the included headphone cable. Battery life is stated as 30 hours wired and 20 hours wireless, both with ANC enabled, and the charging time is three hours. These extremely impressive times turned out to be very accurate in subsequent tests, especially given the expected differences in volume preference and the ANC's variable response to changes in ambient noise. The battery though is not user-replaceable – the headphones need to be sent back to Sennheiser for a replacement installation. 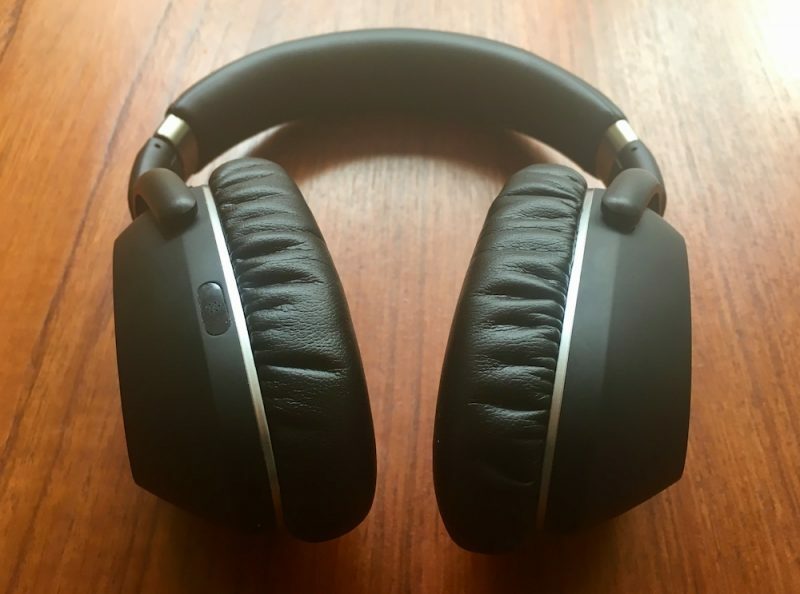 The headphones connect using Bluetooth 4.2 or NFC on supporting devices. There's a TalkThrough feature that makes it easier to hear someone speaking to you without taking off the headphones, and a built-in limiter to guard against sudden, extreme sound peaks. The PXC 550's also save pairing profiles for up to eight devices. Lastly, there's built-in support for the aptX codec, used for streaming 16-bit audio over Bluetooth connections (more on this below). The PXC 550's went into automatic pairing mode when I first turned them on. A series of LEDs on the earcup flashed in a running sequence as a female voice identified my iPhone as "Phone 1" and paired with it with no issues. I held down the Effect Mode button for four seconds to activate pairing mode again, as described in the Quick Start guide, and connected the headphones to my Mac ("Phone 2"). Switching between them was seamless and automatic, and simply depended on whichever device in proximity was playing audio at the time. The connection also remained strong throughout. Headphone touch controls can be a hit and miss affair, ranging from the overly sensitive, to the just plain awkward to use. Sennheiser's implementation sits at the middle of the scale because of the limited egg-shaped gesture surface. It's another feature people have to try themselves to make a judgement, but I got on with them fine – my only gripe is that the levels of volume aren't granular enough for my liking, and once or twice I found my finger reaching for my iPhone to adjust it more carefully instead. The manual lists a bunch of gestures beyond the ones noted above. For instance, if you receive a call while you're listening to music on your iPhone, you can transfer the call from the headphones to the phone by tapping and holding the earcup for a second. This lets you continue with the call if you don't fancy wearing the headphones while chatting on the phone, while the aforementioned TalkThrough feature for chatting with someone in the same room is a double-tap away. Elsewhere, swiping back and holding the gesture pad activates Siri, and tapping and holding for about four seconds gives you a quick battery status update. I seldom used these gestures, but the fact that they exist shows just how much thought has gone into the touch functions. The PXC 550's in the worn "Power On" position (left); and laid flat to "Power Off". What impressed me more though was the rotating earcup power toggle. When I first started using the headphones, I actually didn't like it much, and missed the binary certainty that comes with a classic on/off switch. But it didn't take long for me to remember to lay them flat when I removed them, and after a while I thought it made a lot of sense. Taking the headphones out of the carry case or picking them up from a flat orientation and putting them on... turns them on. And vice versa. Two steps combined in a single action. That the cans automatically connect with the last two paired devices when they power up – and each step is accompanied with an audible voice prompt – makes this an intuitive solution. In terms of comfort, after a few hours' use, I felt the PXC 550's were on par with Bose's QC35's. Both headphones are fantastic to wear. True, the room within Sennheiser's softly padded cups aren't as wide in comparison, but the QC35's are very spacious to begin with. My ears aren't huge though – bigger lugs may find the reduced confines too close (or too warm) for comfort. Make sure you try them on first to check the fit. As for the audio, the mid-range bass of the PXC 550's is slightly more pronounced than the QC35's. It's more energetic and forward, but not in the artificial-sounding way that's often associated with early Beats headphones, for example. It's a thumping bass, but it doesn't dominate the soundstage, which remains wide and detailed. Overall I found the audio better than Bose's ANC headphones. These closed-back cans offer what you might call a more "warm" sound, with a little less emphasis on the upper mid range, but a remarkably vibrant overall signature that works well with vocals, too. 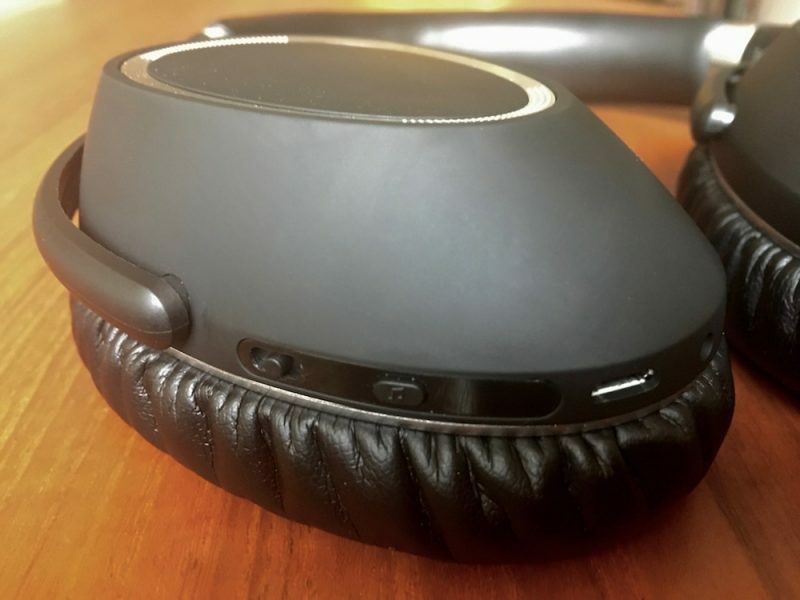 They sounded lively in both active and passive modes, with or without noise cancelation, and the customizable effect modes - club, movie, and speech – offered very decent alternative signatures for different listening scenarios. There's been some heated debate amongst noise-canceling connoisseurs about whether the PXC 550's ANC is as good as or marginally weaker than the Bose QC35's. Having now tested both headphones side by side when no music is playing and in the exact same conditions, I honestly cannot tell the difference between them. This included wearing them while traveling by train, by plane, and while sitting in a living room with a dehumidifier humming away in the background. The only noticeable change came when I switched to the PXC 550's adaptive ANC mode, which ever so slightly lags as it compensates for variations in ambient noise when you're on the move. Otherwise, Sennheiser's NoiseGard Hybrid technology is practically indistinguishable to Bose's own patented ANC as far as this reviewer is concerned. Another feature worth dwelling on is the PXC 550's aptX support, which means they can wirelessly stream 16-bit audio, or what is roughly considered "CD-quality". Sadly, none of Apple's mobile devices currently support the aptX codec (to some, that's inexplicable – aptX is supported by numerous Android phones and is licensed by Qualcomm, an Apple supplier). Happily though, aptX is built into OS X/macOS Sierra, and I was able to force my MacBook Pro to connect to Sennheiser's headphones using the codec, thanks to Apple's own Bluetooth Explorer utility. The difference was subtle but noticeable when listening to high-bitrate, low compression formats, offering slightly better fidelity than when connecting to my iPhone 6s (which defaults to standard SBC, as per the Mac) and listening to the same files. The CapTune app for iOS/Android could easily fill a whole other article. It's where you can change the PXC 550's audio prompts and percentage of ANC, and activate its Smart Pause and Call Enhancement modes. But that's not even the half of it. CapTune is also a standalone music player and audio-tuning utility in its own right. You can create playlists, import them from iTunes, or use its recently played and most played auto-generated lists. It also optionally integrates with the Tidal streaming service, and comes with a free 90-day high-definition premium subscription trial. 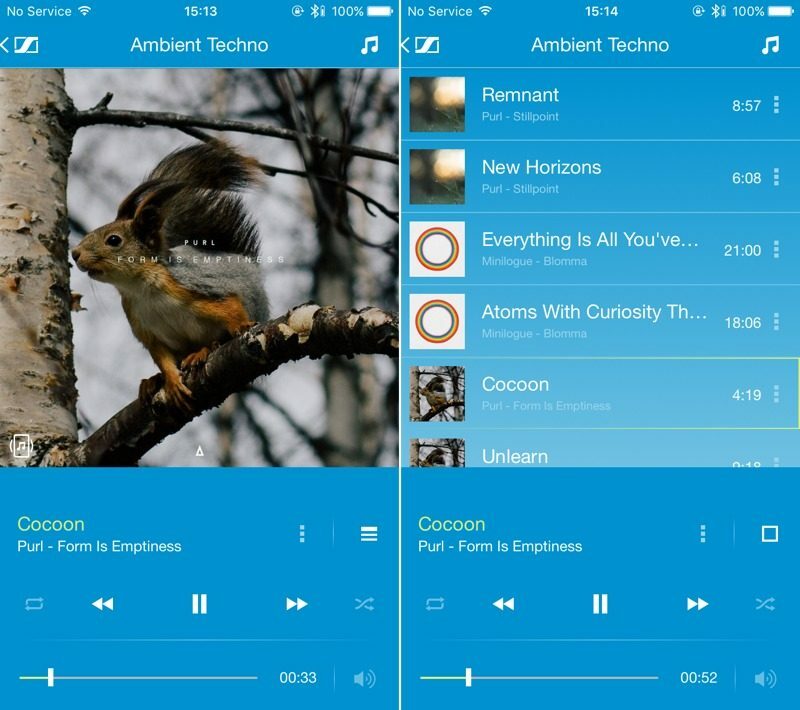 A number of audio files are supported by the app, including MP3, AIFF, AAC, WAV, and Apple Lossless. You can also customize the PXC 550's existing sound profiles based on Boost, Spatial, Reverb, and DLC parameters, or create your own 'Director' profile, which then becomes the fourth selectable mode via the earcup Effect Mode button. In addition, there's a soundcheck function where you can A/B-test a series of predefined equalizer settings, plus a bunch of genre-specific preset EQs to choose from. Lastly, you can save all of your settings in individual profiles for different scenarios – like a 'gym' or 'relaxing' profile, for instance. Take nothing away from Bose – the QC35's are excellent headphones in their own right. But I came out of this test preferring the Sennheiser PXC 550's, for a number of reasons. First, they sound slightly better, and only narrowly fall short of the heights of Sennheiser's wireless Momentum series. 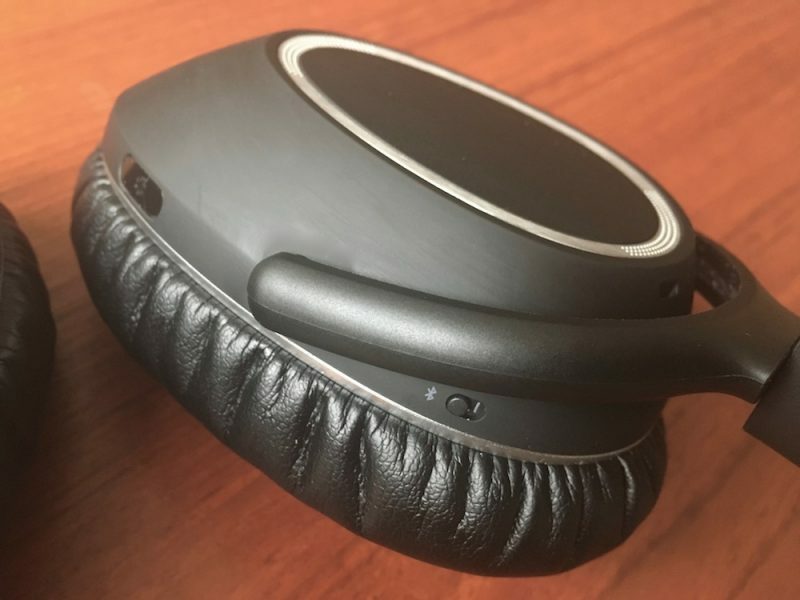 The design of the PXC 550's is also more innovative and well-considered than the QC35's, which are almost identical to Bose's earlier flagship QC25's (tried and tested though they may be) and come off feeling a bit uninspired as a result. As long as you can live with touch gestures, Sennheiser's cans offer a more up-to-date setup. They also feel more rigid and less 'creaky' than Bose's design, suggesting they will last longer in travelers' luggage. You can turn off the ANC and still listen wirelessly with the PXC 550's; not so with the QC35's. 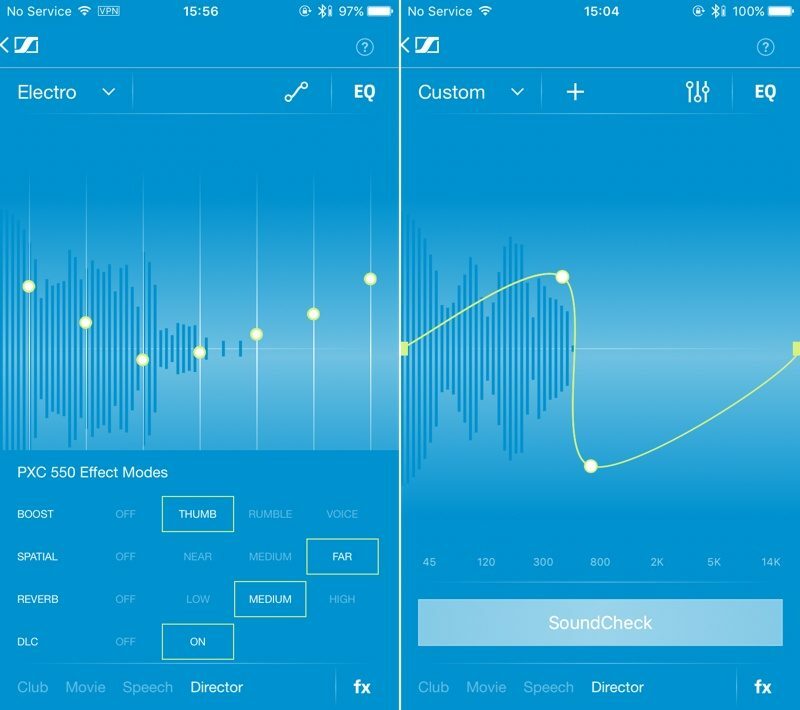 Sennheiser's headphones also let you adjust the level of noise-canceling, which is arguably on par with Bose. 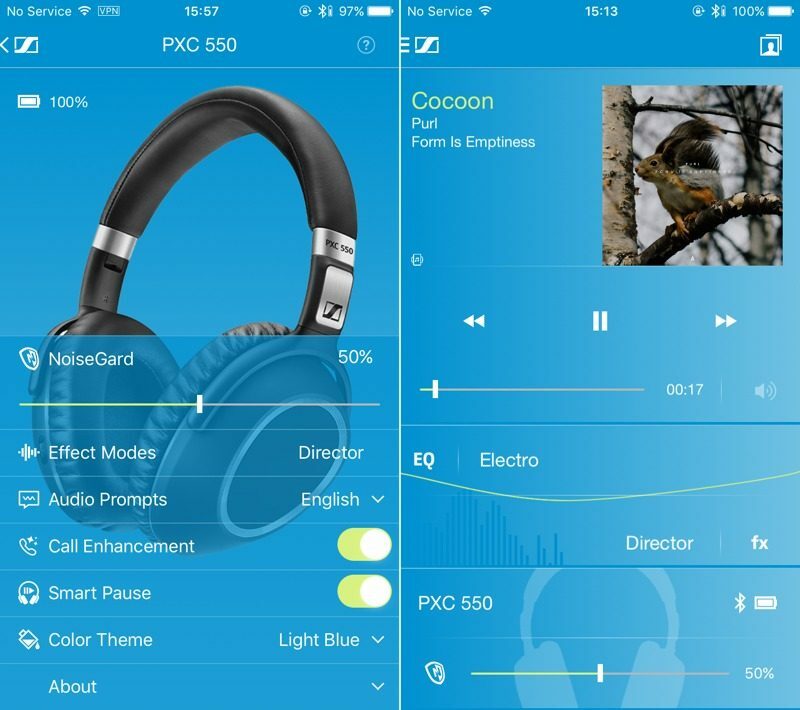 The PXC-550's are lighter (227g versus 309g) despite the additional tech; they also support aptX, where the QC35's don't; and in terms of app features, it's no contest really – CapTune is the clear winner. 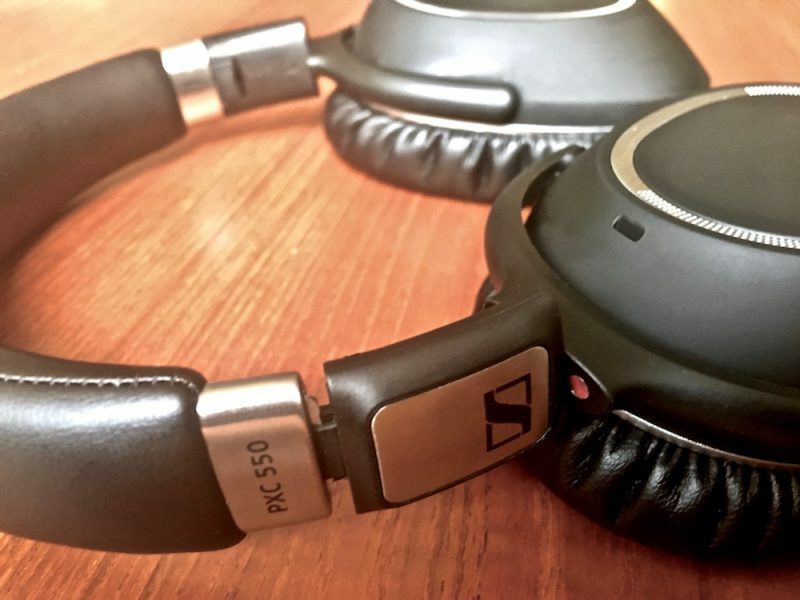 The Sennheiser PXC 550's may cost a tidy sum, but on this evidence they make a good case for being the best noise-canceling Bluetooth headphones in the business. 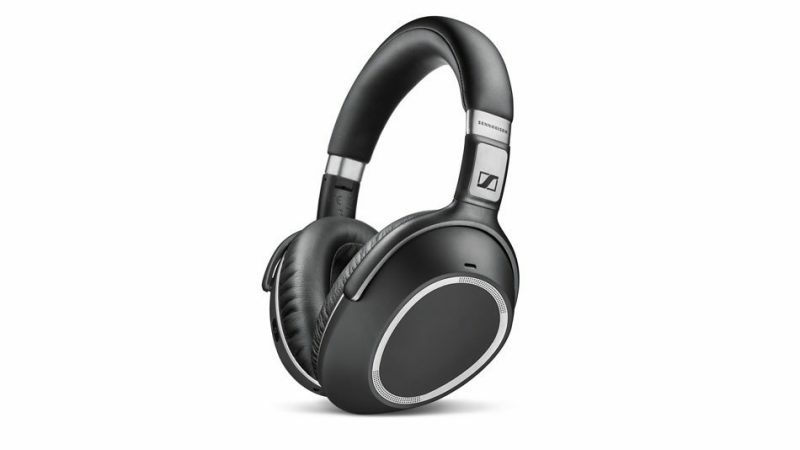 The Sennheiser PXC 550 headphones cost $400 (£330) and can be ordered on the Sennheiser website. 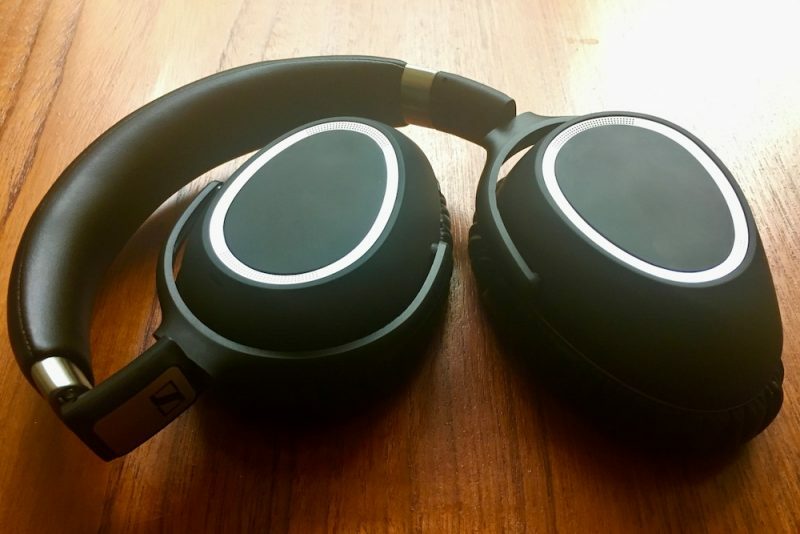 Note: Sennheiser loaned the PXC 550's to MacRumors for the purposes of this review. No other compensation was received. I have a big review on Amazon. I like these headphones but have a couple of issues not mentioned in this article. 1. I find them less comfortable than the Bose QC35. The headband is narrower, firmer and rounded making the weight of the headphones rest on a narrow strip on your head thats less comfortable than the wider, softer, flatter headband of the QC35. 2. One of the best features to me of the PXC-550 is that you can turn off noise cancellation if you'd like. Better yet, there's a mode where it can pipe in voices from outside. This is awesome and noise cancellation still works. This is amazing for listening to announcements on a plane. The roar of the engines is still gone but you can hear the announcement clearly. However, for me I'd like to be able to sometimes hear co-workers in case something is going on I should listen to. This mode stops the music. I wish it would not stop the music. This would make a world of difference to me. Other than that, they're excellent headphones. o_O Why would anyone do this? Choices. Choice is why someone would choose these cans. $350 and up for wireless headphones that dont sound as good as $125 ATH-MX50? No thanks. BT still has a way to go before it can compare to the good old cord. Adding noise cancellation doesn't improve the sound. All its doing for me is draining the battery faster. Hopefully someday BT will improve, NC will be more standard, and the price will drop below $200. Really enjoy when it comes to audio, everyone is an aficionado. Audio opinions are so varied it's crazy. Get what works/sounds best for you and be done with it. I just bought a set of Bluetooth headphones from Monoprice, normally $50 but on sale for $20. I think they sound great so far and the overall convenience of BT vs. wired is obvious. I'd absolutely love to put a $350 set on my right ear and a $20 set on my left ear and compare their sound quality "live", playing the same signal source at the same time. That would tell the tale of the tape, so to speak. RTFA. The Sennheiser is better for multiple reasons. another review i've read despised the touch controls, stating accidental play/pause as soon as he took them on/off, or worse put them around the neck. anyone has an experience to share? It is an explicit feature, if you take them off they will pause and when you put them back on they continue playing. It can be deactivated inside the App. I really like it and use it quite often. I own them, had them for about 6 weeks of constant travelling.